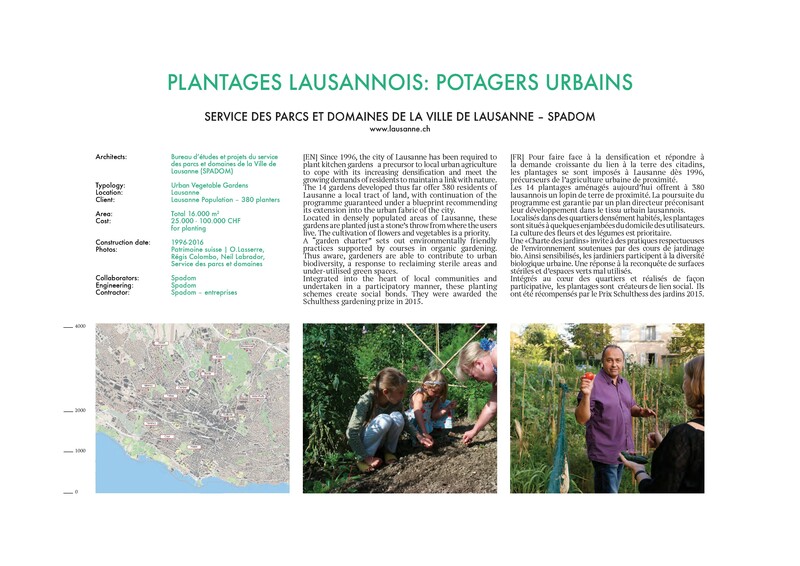 Since 1996, the city of Lausanne has been required to plant kitchen gardens a precursor to local urban agricultureto cope with its increasing densification and meet the growing demands of residents to maintain a link with nature. 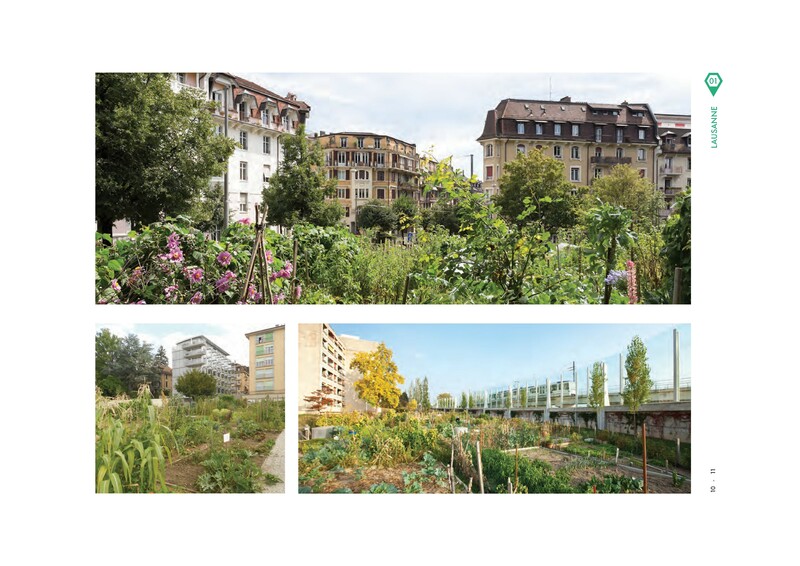 The 14 gardens developed thus far offer 380 residents of Lausanne a local tract of land, with continuation of the programme guaranteed under a blueprint recommending its extension into the urban fabric of the city. Located in densely populated areas of Lausanne, these gardens are planted just a stone’s throw from where the users live. The cultivation of flowers and vegetables is a priority. A “garden charter” sets out environmentally friendly practices supported by courses in organic gardening. Thus aware, gardeners are able to contribute to urban biodiversity, a response to reclaiming sterile areas and under-utilised green spaces. Integrated into the heart of local communities and undertaken in a participatory manner, these planting schemes create social bonds. They were awarded the Schulthess gardening prize in 2015.